The Special Mentions of the European Union Prize for Cultural Heritage / Europa Nostra Awards 2017 were made public today by Europa Nostra and the European Commission. This year, the Awards’ Jury granted Special Mentions to 13 heritage achievements from 11 European countries taking part in the Creative Europe programme of the European Union. The Venice International Foundation received a Special Mention in the category Dedicated Service. Davit Aghmashenebeli Avenue is located in a historic district of Tbilisi and has immense architectural and historical value to Georgia. The team behind this restoration project carried out high quality conservation work which has improved the aspect of the surroundings and revitalised the area. In restoring and maintaining the Jewish cemetery in the town of Šeduva, the local community has succeeded in its efforts to restore, commemorate and to respectfully maintain the memory of members of their community who, since the Holocaust, no longer live in the town. This project is the result of the collaborative work of several municipalities which included strong integrative planning and the use of many different approaches to enhance a whole province. They aim to facilitate sustainable development of tourism to the area while underlining the identity of the territory. Between 2010 and 2015, Metsähallitus, the national forest management authority in Finland, carried out a field survey of cultural heritage sites in multiple-use forests owned by the Finnish government. This large-scale and comprehensive survey and operational tool has engaged various stakeholders and groups which has helped to bridge culture and nature in Finland. More than 160 precious opera manuscripts from two private collections have been digitised and made available for public use within the well-known Library of the Music Department of the German Historical Institute in Rome. The exemplary technical quality of this digitisation project helps to shed light on a little investigated period of opera which has great European significance and helps both creative and research endeavours. For 25 years, Monumentenwacht has provided a sustainable monitoring system for the preventive conservation and maintenance of built heritage. The five provincial Monumentenwacht organisations act as ‘front offices’ to assist the owners and managers of these monuments to maintain and raise awareness of the heritage sites. Their model has proven to be inspirational for similar organisations in Europe. In using art of the Renaissance period to retrieve varieties of ancient fruit trees, the Arboreal Archaeology Foundation contributes to the conservation and enhancement of heritage by improving biodiversity and the contemporary cultural landscape. The Venice International Foundation, initiated and tirelessly guided by Signora Franca Coin, has for over 20 years created a network of benefactors to save many important Venetian works of art. The Foundation’s activities include fundraising for artwork restoration, the acquisition of works of art, exhibitions, museum education and cultural communication activities. This dedication was recognised and particularly appreciated by the jury. This project enables collaborative activities in archaeological conservation and awareness-raising between the local community, farmers and cultural heritage experts. These activities help to preserve the cultural landscape of Stari Grad, an important ancient site, and, in turn, help to bolster the sustainability of the agricultural activities there. Ajapaik is a crowdsourcing platform for collecting (mostly location) metadata and rephotographs historic images found inboth public and private collections. The jury appreciated the innovation of the project, its approach to crowdsourcing and its focus on the participation of users. 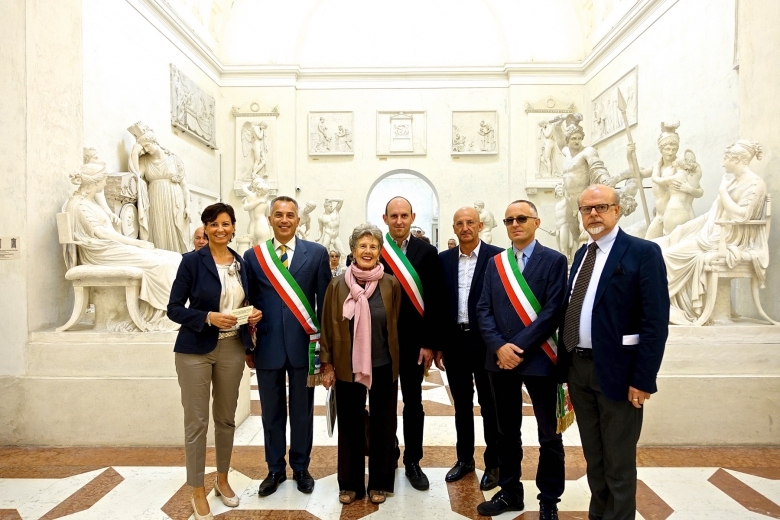 Art on Wheels is a mobile educational project consisting of interactive workshops concerning art and historic monuments located in small towns and villages. In travelling to towns throughout Poland, this project widens social inclusion and enables people from different social and age groups to participate in culture, who might otherwise be at risk of exclusion. The ‘Traditional Artistic Crafts’ Olympiad is a competition which encourages Romanian young people, aged between 6 and 18, to continue mastering traditional crafts and raises awareness of this heritage. The initiative has training at its core and the long-term dedication of the project to reaching its aims was much appreciated by the jury. ‘In the same boat’ was established to safeguard the traditional crafts and intangible heritage of the region surrounding Lake Cerknica. The project’s focus on sustainability and the transference of skills from older to younger generations as well as its holistic ecological and ethnological approach was particularly appreciated by the jury. Special Mentions of the Europa Nostra Awards were also presented to heritage achievements from two European countries not taking part in the EU Creative Europe programme. The project has undertaken major conservation and restoration works of the wall paintings in St. Peter and St. Paul’s Cathedral in Minsk, an architectural monument of 17th century. The jury felt that this was an excellent example of careful research regarding the history, the material and the methods of conservation which were used on this multilayered painting. Its educational approach has immense value. This project practiced careful, sustainable and high quality conservation work to carefully recover a baroque 15th century Swiss house and, as a result, successfully saved it from being demolished. Their efforts were recognised and particularly appreciated by the jury.